Clear Muscle Review | Does Clear Muscle Work? Why do you go to the gym? The answer is simple for any serious bodybuilder and that is that you have goals to achieve and the only way to reach them is to put everything you have into it. That means you eat right, use the best possible training methods and use recovery periods to the fullest in order get the maximum benefits out of each and every workout cycle. The only missing from this regimen is the supplements you take to help you achieve those goals that will help you reach the heights of body sculpting that will ultimately lead to the god-like physique that you deserve. Still, as anyone who has done their basic research knows, there is one major problem when it comes to choosing the key supplement that will carry you to the Promised Land - not all bodybuilding supplements are created equal. Sure, they are many good supplements and there are a few great ones but most of the market that has been created over the years is filled with low quality products that were created for no other reason than to cash in on the multi-billion dollar bodybuilding supplement market. This being the case we have decided, as part of our ongoing effort to help our readers understand their options, to take a long hard look at one of the most talked about bodybuilding supplement on the market today - it's called Clear Muscle. 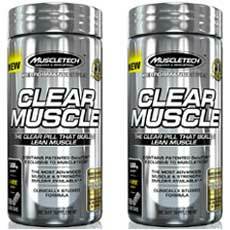 Clear Muscle is a product of MuscleTech Research & Development and was designed to provide the key elements necessary for rapid muscle growth and maximum nutrient absorption. 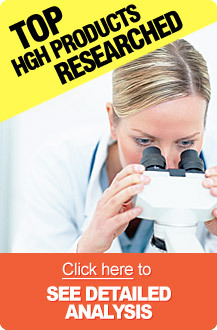 Their claim is that their proprietary formula uses a liquid version of Free Acid HMB that delivers everything you need in a new and unique liquid form capsule which allows the body to absorb and utilize the formula much faster and more completely than other Calcium Salt HMB capsules which rely on older powder formulations. This is evidenced, they claim, based on a study performed at the University of Tampa involving a twelve week study of athletes who were given the exact dosage of BetaTOR provided in Clear Muscle. This distilled anabolic power infused into 1 gram is equal to 200 grams of whey powder. Though the information provided on the distributor's website is voluminous and complete with user reviews and professional quality marketing videos the depth and breadth of the detailed information is not on par with the presentation, itself. Although there are mentions of a twelve week clinical study performed at the University of Tampa there is no detailed analysis of these tests. Normally, we would prefer to see far more detailed evidence that would back the claims of the manufacturer. In this case that area is not well covered. This being the case, the only real information on ingredients is presented in the form of strong statements regarding the use BetaTOR. And, although this is considered a key element for any safe and effective bodybuilding supplement it is, in no way, sufficient for a product that claims to be among the best available in the world. The user reviews provided at the most prominent online retailer of Clear Muscle shows an incredibly high level of satisfaction. However, as any savvy consumer knows, reviews and testimonials provided on any official product site or affiliated retail site are generally cherry picked for their most positive tone. Given this fact, we, as always prefer to seek out more independent user reviews from other industry websites and chat rooms dedicated to the subject. These more unbiased user reviews that we were able to find did have a higher than average tendency for positive remarks but, still, the majority of them were of an overall negative nature. The most common remarks dealt with fact that most users did not see any appreciable results even when following the dosage requirements to the letter and for several months. As always, it is advisable to consult with a primary care physician or other qualified medical professional before beginning use of this or other similar product. Although there are no known side effects with the use of this product anyone with a known history of allergic reactions or other medical issues should avoid use unless cleared by their medical advisor. Clear Muscle is sold in bottles containing 168 Liquid capsules (84 servings of two capsules per day) at a price of $49.99. This works out to be $0.60 per serving. As we talked about at the start of this review, the real reason any serious bodybuilder goes to the gym is the get the maximum benefits of their chosen workout regimen. Therefore, everything thing they do to help them achieve their goal is more than a small detail - from their workout methodology to the dietary choices to their recovery routines each step of the process is immensely important in the process and the choice of bodybuilding supplements is a big part of that effort. When looking at Clear Muscle there are some very interesting and positive points that can be made for its proprietary formula. First and foremost is its use of BetaTOR as the key active ingredient. Add to that the new formulation that uses a quick absorption liquid capsule that claims to deliver the key elements that your body needs in a faster and more effective way and you have something to applaud. On the other hand, when you put the whole package that MuscleTech Research and Development has offered up one can't help but find some glaring problems. Among these are the fact that there is little to no information on the actual full list of ingredients. Then, when you consider the poorly documented results of the University of Tampa clinical trials and the over reliance on slick marketing tools over substantive information that all serious bodybuilders want access to, one should find that all the positives that would make Clear Muscle a real contender start to slip into the darkness. Finally, when you look at the majority of independent user reviews and their negative nature the big picture begins to become clear. Ultimately, in a market filled with contenders and pretenders, it is difficult to see how Clear Muscle proves its case in wanting to become one of the very best bodybuilding supplements made for serious athletes. For more information regarding the highest quality, top ranked bodybuilding supplements available on the market today, click here.